Wouah, what a great and colorful pattern!!! Thank you very much for this nice pattern, in French!, So pleased!! 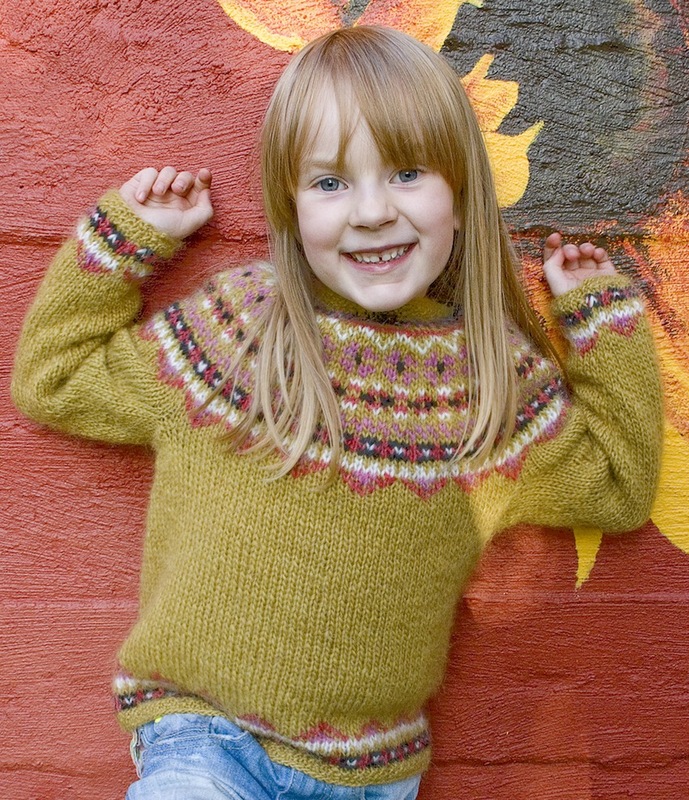 I hope to knit it before winter for my daughter. I will come and show you mine. I look forward to seeing it! :) I’m getting the notes translated too, will post them soon. You might be surprised! I think it’s easier than it looks. I’m actually not a very experience knitter and I don’t find lopapeysas too bad. This is great! 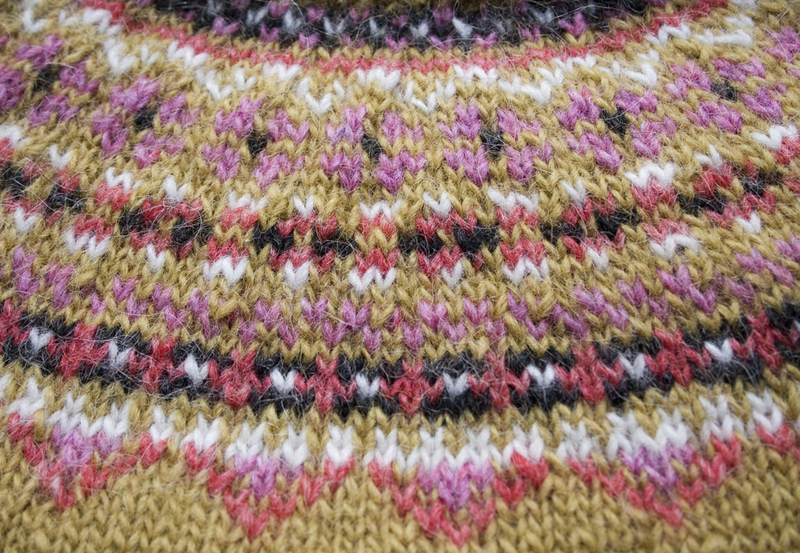 Great timing – I haven’t knitted for a few years and here this lovely pattern appears!! So pretty! I live in Texas and it doesn’t stay really cold here for much of the year. Would it still work to knit this in a different yarn, like a wool blend? I also want to make it for my girls that are bigger than size 8, how could I size the pattern up? 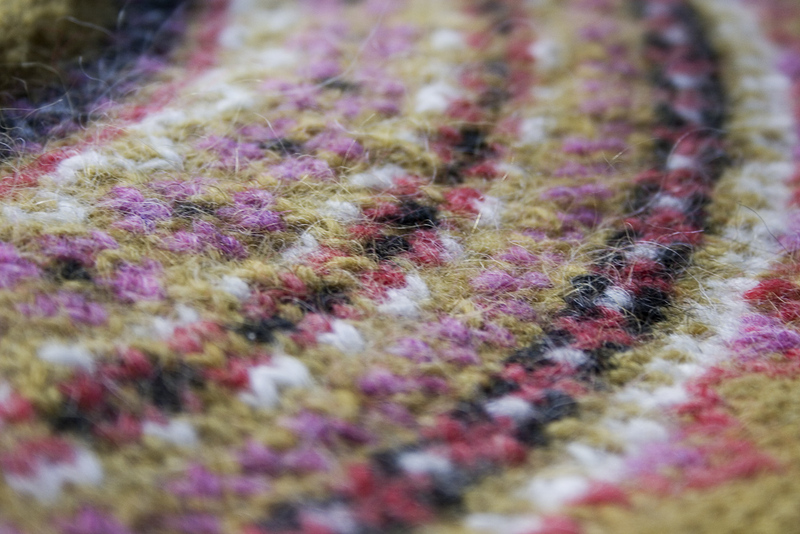 Use bulkier yarn or actually do math and add stitches? Just about to cast on one of these beautiful sweaters !. I’ve just discovered your delicious blog through Ravelry and I just wanted to let you know him much I admire your knitting designs ! I’ve printed it and am eager to start knotting it for my son when he’s a little older. Thank you !! Thank you SO much for writing this pattern and making it available. 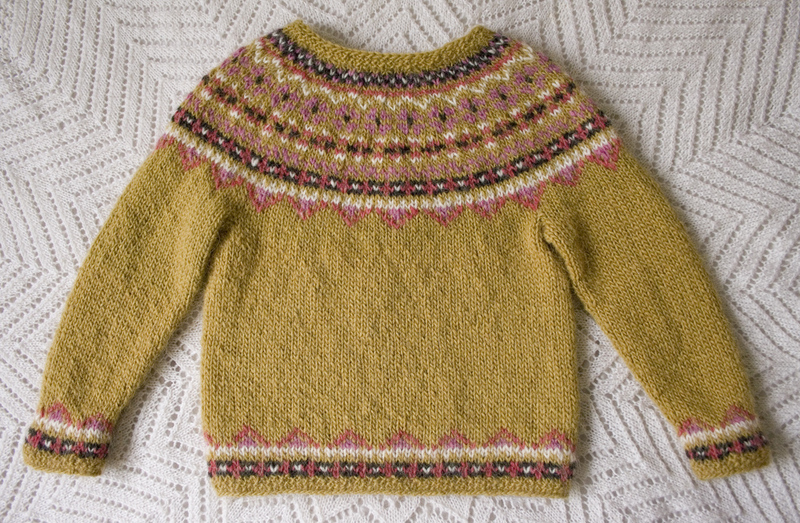 I found your blog via Ravelry after seeing the Fimma that Alicia Paulson knit for her daughter and showed on her blog. I cannot wait to make Fimmas for my nieces! I love it! Do you have any patterns like this for adults? This is lovely! I’d like to make in a kids size 12 or 14 for my daughter. Could you help me with how to make it bigger? Thank you! It should be doable if you use bulky weight yarn on 6 mm (US 10) needles. If you’re interested, I could quickly make the pattern so you have the right measurements. Just let me know. 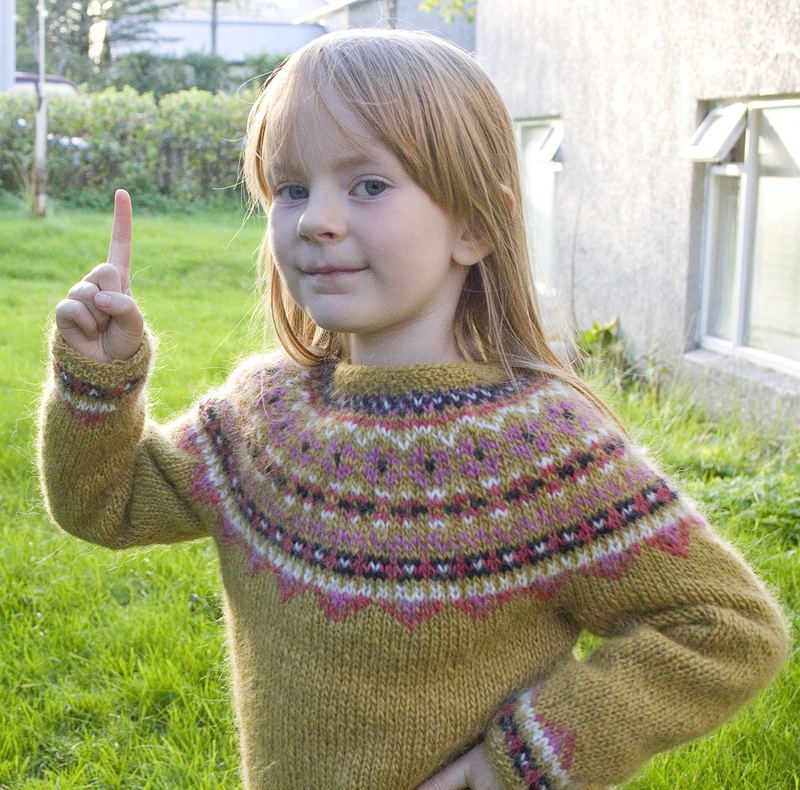 :) I haven’t been able to get larger sizes to look right in Aran weight. merci! !enfin un modèle en français. depuis le temps que j’en cherchais un. je m’y mets dès ce soir!encore merci!! This sweater is beautiful and I love the contrasting colors. Is there a way the pattern can be adjusted for an adult? I usually fit in children’s size 16.
what is the gauge/tension recommendation? Bonjour et merci beaucoup pour ce très joli modèle et pour sa traduction en français ! Je le commence ces jours-ci pour mon petit fils.